By default PrestaShop sends all of the emails related to the sales, contact information for the newly registered users and all system emails via the php mail() function. Not all of the Store owners are fine with this type of mail sending option and most probably at certain point you will need to change it. In this tutorial we will show you how easy and fast you can change the Email configuration of your store from the default php mail() function to fully functional and secure SMTP protocol authentication for the outgoing mail service of your Store. In order to begin with the reconfiguration you will need to go to your Store’s admin backend > Advanced Parameters > Email. This menu item will redirect you to a page where you will be presented with the current configuration for your emails along with the option to test the configuration. 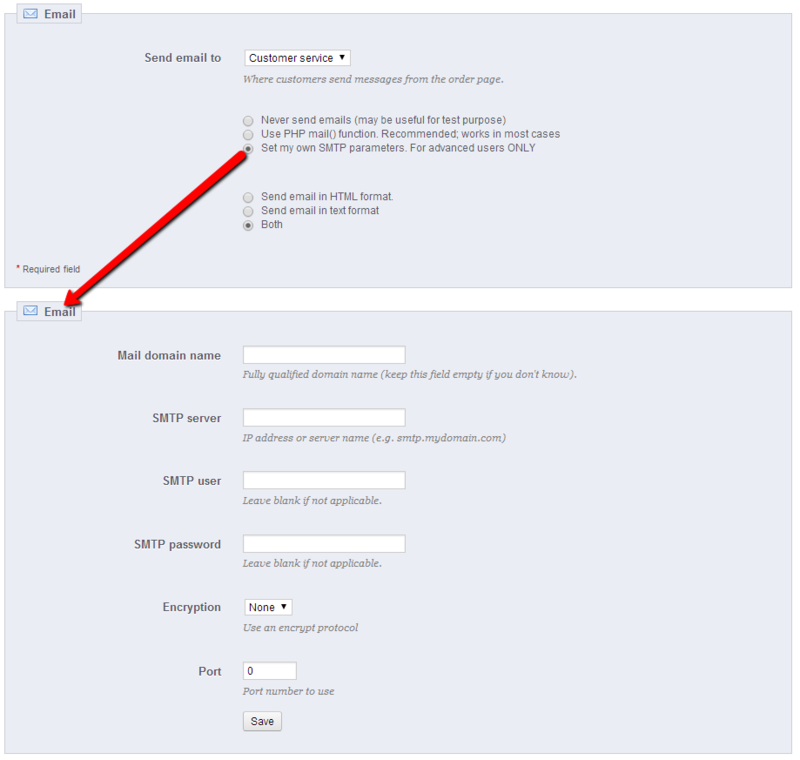 In order to activate the SMTP protocol please change the radio button value to Set my own SMTP parameters. Once you do that, an additional interface will appear bellow the initial Email interface. Fist we will begin with setting up the SMTP parameters for the protocol to be fully functional. In order to do so you will need to fill the fields in the additionally displayed interface. Mail domain name – The domain name your emails will be using. Usually this is the primary domain your store will be hosted at. 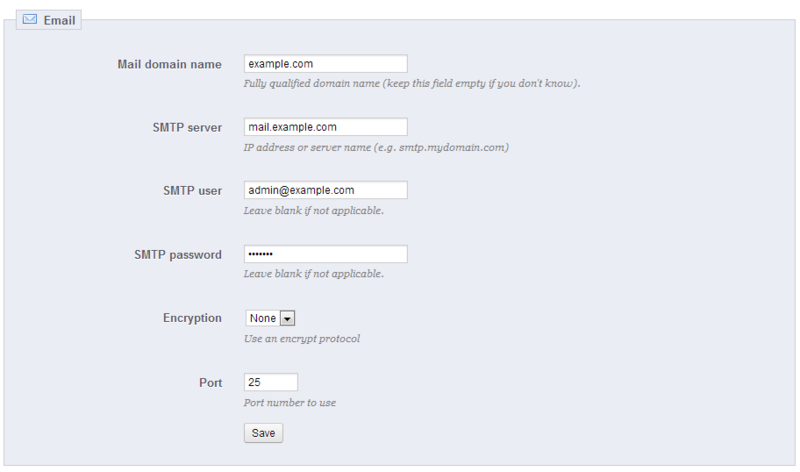 STMP Server – The SMTP server hostname which should be used by the service. SMTP User – The username for the SMTP service. Usually this is the actual email account you would like to use for example admin@example.com . SMTP Password – The password for the above inserted username. Encryption – If the connection should be encrypted with the standard encryption protocols. Port – The port which the SMTP service will provide your store with email service at. The substitute “yourdomain.com” should be replaced with your actual domain name and the username@yourdomain.com should be also replaced with the actual email account you would like to use created under your cPanel email accounts. More information on how to create email accounts in cPanel is available in our cPanel tutorial series. Last but not least you can test if all of the settings are correct by simply inputting your email in the “Send a test email to” field from the “Test your email configuration” interface located at the bottom of the same page. Congratulations! You have successfully configured the SMTP protocol!